Exporter of three wheeler clutch bell from India. We Provide quality Products at a very competitive prices and as per your requirements. 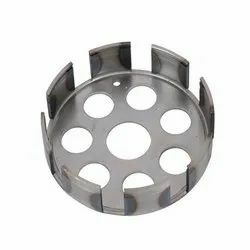 With the help of our skilled experts, we are offering a range of Clutch Housings. All our products find their applications in varied engines for their better functioning. our organization is engaged in offering a wide range of Clutch Bell our clients. These are procured from the renowned manufacturers across the country and are known for their features, such as precision design, corrosion resistance and durability. We offer our range at industry leading rates to our clients. we are dealing in 2 wheelers and 3 wheelers. Silenced bell-housings for piston and screw pumps, UNEL-MEC electric motors from 0.5 to 200 Kw. 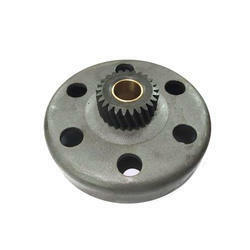 We are presenting an excellent quality assortment of Clutch Bell Housing. We offer the best-quality Clutch Bell Housing that find wide use in the internal combustion engines or automobiles. It superior quality features have made it amongst the most desirable products of the entire range.